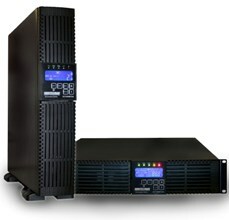 Para Systems (News - Alert) Inc. has expanded it portfolio of uninterruptible power supplies. 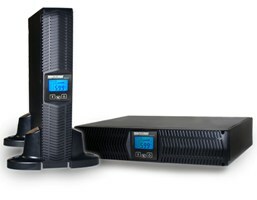 The company today officially took the wraps off its new Minuteman Endeavor LCD Series and Encompass Series of products. “The Endeavor LCD Series from Minuteman provides premium power protection with a ground-breaking 5-year warranty that is unmatched in the industry,” said Bill Allen (News - Alert) (News - Alert), Director of Marketing. The Minuteman Endeavor LCD Series delivers a high efficiency power factor of 0.9 and capacity from 1000VA to 3000VA. Its on-board LCD status display and control panel enables users to monitor this solution while on site or remotely. And the Endeavor LCD Series products feature a slot for Minuteman’s SNMP communication card and environmental monitoring probes and programmable relay card. Multiple external battery packs can also be added. Capacities of Encompass Series solutions also range from 1000VA to 3000VA, a 0.9 power factor, and an LCD status display. But these models feature a three-year warranty, including batteries. These products, which are compatible with Minuteman’s SentryHD power management software, also accept optional environmental monitoring, programmable relay, and SNMP network cards. Minuteman products protect such gear as computers, distributed antenna systems, industrial applications, network servers and peripherals, security systems, and telephone/VoIP systems. Both new product lines feature ENERGY STAR (News - Alert) certification, have an Eco Mode to increase efficiency and reduce power consumption, can be used in a tower or rack-mounted configuration, and are now available for purchase from Minuteman distributors and resellers. Para Systems, which has been around since 1916, is based in Carrollton, Texas. The company, a subsidiary of Components Corporation of America, also offers surge protectors, power distribution units, and remote power management systems.